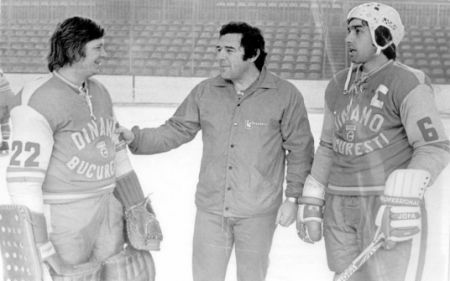 The first of the so-called qualification games at the Olympiahalle in Innsbruck between Eastern Bloc rivals POLAND and ROMANIA was easily the most closely-contested of the six played over the two days prior to the official Opening Ceremony for the 1976 Winter Olympics. 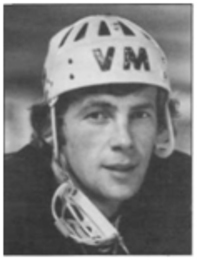 The two nations had last met at an international competition in the B Pool of the 1972 IIHF World Championships, where the tournament-winning Poles had skated off a decisive 7-0 victor. But at the Olympiahalle, the underdog Romanians were clearly intent on fashioning a shock result to formally open the ice hockey competition in the Austrian Alps. Indeed, two goals in the game’s first six and a half minutes provided opportunistic Romania a very bright start towards achieving that end. Poland finally pulled level at 2-2 seven minutes into the second period but, once again, could not stay even for very long. A power play goal from national team star DORU TUREANU of Dinamo Bucharest, who had assisted on the opening tally in the contest, returned Romania to the lead just five minutes later. This time, though, the Poles retaliated quickly when MIECZYSLAW JASKIERSKI of domestic champion Podhale Nowy Targ knotted the match 3-3 only thirty-two seconds thereafter. 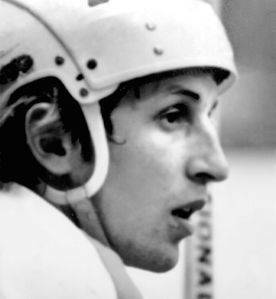 Romania national team all-time goal-scoring king DORU TUREANU (6) of Dinamo Bucharest, who netted six goals in ten games at the A Pool of the 1977 IIHF World Championships and five goals in as many matches at the 1980 Winter Olympic Games. 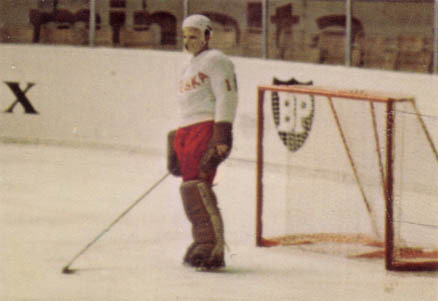 Referees RUDOLF BATA of Czechoslovakia and HEINRICH EHRENSPERGER of Switzerland ultimately assessed five of the game’s six penalties to Poland and the Romanians were effectively able to capitalize on this in the middle frame. And so, with the Romanians again enjoying the manpower advantage, ELOD ANTAL of SC Miercurea Ciuc shot his second goal of the match with a shade under two minutes to go until the final intermission. But, once again, the Poles significantly responded in relative short order and stopped whatever momentum upset-minded Romania may have been gathering with a second goal of the game from LESZEK KOKOSZKA of army club Legia Warsaw at the 19:31 mark. 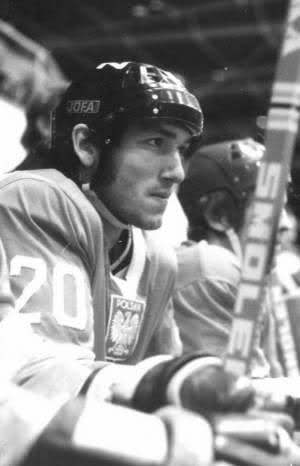 The final period was approaching the halfway point when 31-year-old veteran defenseman ROBERT GORALCZYK of Baildon Katowice, the oldest player on the ’76 Poland Olympic ice hockey team, scored a pivotal goal to give Polska its very first lead of the entire game. It had been Goralczyk, of course, who had drawn the assist on the second strike from Kokoszka, as well. 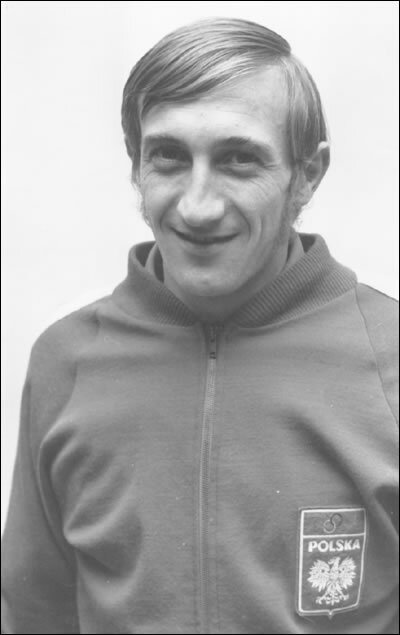 20-year-old HENRYK PYTEL of Zaglebie Sosnowiec then shot his very first Olympic goal for Poland and doubled the margin with time beginning to run out on the brave but fading Romanians. A late strike from 22-year-old Olympic novice WIESLAW JOBCZYK of Baildon Katowice provided favored Poland with its third unanswered in the final twenty minutes at the Olympiahalle in Innsbruck and capped off the critical 7-4 win over stubborn Romania.